Best Painters, House Painting Contractor Services, Arvada, CO.
Best Painters and Painting Contractor Services in Arvada, CO. The team at Eco Paint, Inc. supplies professional Arvada painters and complete paint contractor services in Arvada Colorado. Eco Paint, also offers the best, most superb house painters and custom house painting services near Arvada CO. All the staff at Eco Paint is an Eco Friendly, honest, personable, and professional team of highly qualified painters to provide you with interior and exterior painting services. The experienced painters at Eco Paint, offers the latest painting color ideas, trends, and painting techniques for you, with outstanding benefits and house painting results. Eco Paint offers exterior, as well as interior painting, for all types of residential, commercial, and industrial properties. Utilize our painters' tenured experience at Eco Paint, to enhance the interior and exterior value, and protection of your home or office with our professional painting experiences. Painters having a vast working knowledge painting siding, walls, ceilings, cabinets or trim to add color, value, and brilliance to your property, with every color choice. Everyone at Eco Paint takes a special interest, providing the very best painters, painting your home or office including Arvada, and areas surrounding Leyden, Standley Lake, and North Table Mountain Park, with the utmost attention to detail. Seeking premier Arvada painting contractors, Eco Paint contractor provides a full array of painting services in and around Arvada, CO. Having painted many homes and businesses near Arvada Center for the Arts and Humanities, Olde Town Arvada, Arvada Centerplace Shopping Center, Arvada Plaza Area, and the Ralston - Central Park. Because our quality control standards are the highest, our staff and journeyman painters are among the best in the business, always putting our customers first! Our paint company's focus and slogan for nearly 4 decades, has been "Customer Satisfaction is Our Main Concern". Managing your painter's job through its entirety of scheduling, sampling, preparation, continuous clean up, work safety, to paint finals, is what your painting contractor in Arvada does on a daily basis. Below is a list of our wide variety of independent Arvada painting contractor services, that we hope you find helpful. 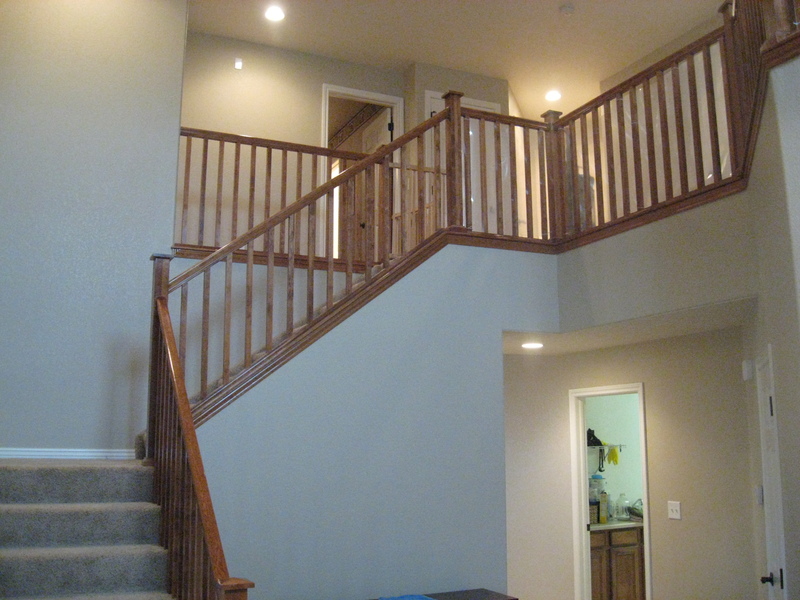 Making it a snap, having your home painted, utilizing the vast contracting knowledge in Arvada, with Eco Paint, Inc. The company at Eco Paint offers a comprehensive selection of Arvada paint services including only the highest quality paint supplies and workers to get your job done right the first time. Enjoy the personalized paint service, whether it's painting a single room, or the entire home with unparalleled craftsmanship. Offering competitive prices for Arvada, making Eco Paint a community favorite. A fresh coat of paint enhances curb appeal, home value, and weatherizes the exterior of your property. Arvada is a place where the nation's top architectural, product, and special paint coatings is currently available, and Eco Paint is your painting expert, serving the entire Arvada area. Painting Homes and Offices near Arvada, CO.
Painting homes siding, walls, ceilings, or trim for any room, adding value, paint protection and brilliance every step of the way, with uncompromising integrity. Enjoy the personalized internal and external contractor painting services, with unparalleled craftsmanship, and affordable painting costs and quotes estimating your home or office in Arvada, working with everyone's budget in mind. Contact Us Today for a Free Paint Quote & Color Consultation, valued at $150.00! (720)409-1984 -or- (303)591-4978. Click Here to fill out contact form.